The Lexington-Fayette County Health Department’s Board of Health has selected Mark Johnson as the 2019 Dr. Rice C. Leach Public Health Hero. The award is given annually to individuals who have demonstrated their dedication to improving the health of Lexington residents. The winner is announced each April as part of National Public Health Week (April 1-7, 2019). 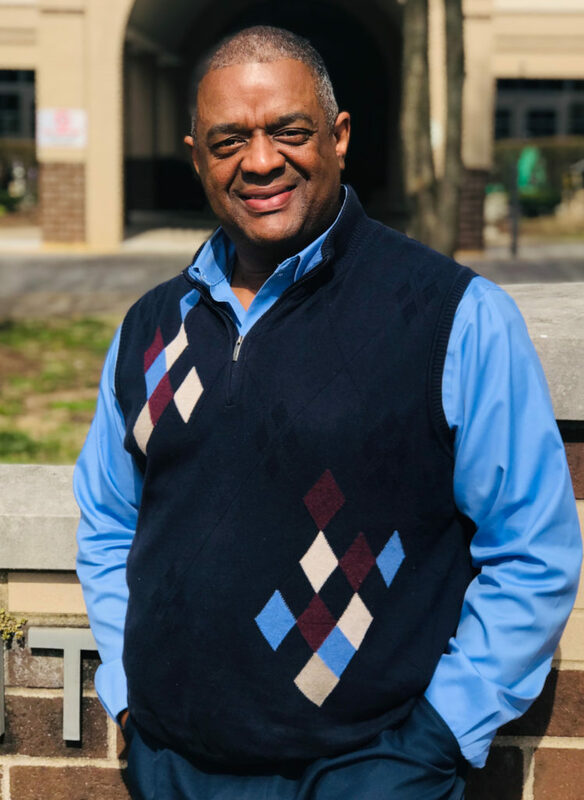 Johnson received his Master of Science in Social Work from the University of Louisville and his Bachelors in Social Work degree from Morehead State University. He retired from the Lexington-Fayette County Health Department in 2013. After a short break, he returned to the workforce and is currently a Program Coordinator for the Kentucky HIV/AIDS Program. Johnson has been a champion for HIV/AIDS, Cultural Diversity and Health Equity for 30 years. He used his positions at both local and state public health departments and at community-based organizations to create change, promote cultural competency, and influence policy to ensure all people have the opportunity to reach their full potential of health. Johnson has received Lexington Urban League’s first “Individual Champion of Diversity” award, the inaugural Lexington Fairness “Out for Diversity” award, Kentucky Public Health Commissioner’s Award for Meritorious Achievements for Outstanding efforts in Health Equity and Community Leadership, UK Social Work Department’s inaugural Unsung Hero: Champion for Social Change Award, AIDS Volunteers, Inc.’s Legacy Award, Bluegrass Black Pride Trailblazer Award and was inducted into the Lexington Fairness Hall of Fame. Johnson has also been honored for his exercise classes and work with seniors and arthritis, and is a member of Bluegrass Black Pride, Inc.
Johnson will be recognized at the April 8 Board of Health meeting held at 5:45 p.m. in Lexington-Fayette County Health Department’s Dr. Rice C. Leach Community Room, 650 Newtown Pike. He will also be honored at the April 11 Lexington-Fayette Urban County Council meeting. Previously known as the Public Health Hero Award, the Board of Health renamed the award in 2016 in memory of the late Dr. Rice C. Leach, Lexington’s former Commissioner of Health who spent more than 50 years as a public health physician. Leach died April 1, 2016. Past winners include Dr. Svetla Slavova (2018), Reginald Thomas (2017), Dr. Rice C. Leach (2016), Dr. Susan Pollack and Marian F. Guinn (2015), the Rev. Willis Polk and Baby Health Service (2014), Anita Courtney and Teens Against Tobacco Use (2013); Vickie Blevins and Jay McChord (2012); Jill Chenault-Wilson and Dr. Malkanthie McCormick (2011); Dr. Jay Perman (2010); the Lexington Lions Club (2009); Dr. David Stevens and the late Dr. Doane Fischer (2008); Dr. Ellen Hahn, Mary Alice Pratt and Therese Moseley (2007); Dr. Andrew Moore and Rosa Martin (2006); Jan Brucato and Dragana Zaimovic (2005); and Dr. John Michael Moore, Ellen Parks and Lexington-Fayette Urban County Government (2004). Dr. Robert Lam received a Lifetime Achievement Award in 2007.